The alleged employee of an accessory manufacturer may have revealed the release date of the 3DS weeks earlier than Nintendo intended. The Japanese release date for the Nintendo 3DS was set to be revealed by Nintendo on September 29, but the magic of Twitter has brought rumors of an early reveal. A Twitter user that says he was the employee of Japanese Nintendo DS accessory maker Keys Factory claims to have an idea of when the 3DS is coming out. A tweet by "Nocchisan" (translated by posters of NeoGAF) implies that the Nintendo 3DS will be released in at least Japan on November 20, 2010. It translates to: "On November 20th, the 11 goods I designed for use with the 3DS will go on sale simultaneously. Those of you buying the 3DS, please buy them while you're at it! This will be officially announced on the homepage eventually, lol. Best regards." He follows it with a link to the Keys Factory website. Keys Factory develops products for every DS model such as an array of cases, game cart holders, and styli. The tweet doesn't explicitly state when the 3DS will be released, and DS accessories often have been released before new models of the handheld in North America, so this tweet could mean nothing even if Nocchisan actually is from Keys Factory. 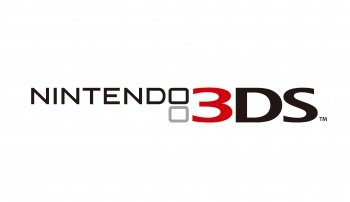 Still, if this rumor can be believed, the Nintendo 3DS is likely making its debut in late November. If not, we'll find out the truth on September 29 anyway.